New terms such as fluidity are entering the cultural lexicon of this generation. Fluidity is when gender expression shifts between masculine and feminine and can be displayed in how one dresses and expresses their identity. 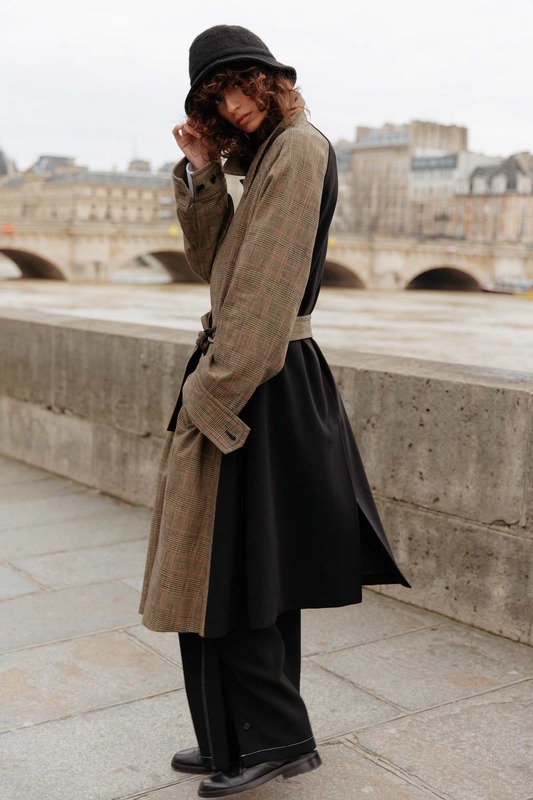 Deveaux, a relatively young brand in the menswear industry, leans towards a bolder perspective with a unisex line, with pieces cut for men and graded down or with slight modifications for a feminine vibe. Everyday pieces with a gestural loose fit styling define this launch line with unexpected pops of color and design details that make innovative use of the reverse side of the knit. For some people, gender is not just about being male or female. In fact, how one identifies can change every day or even every few hours. Needless to say, self-expression is what makes a bold style work.